Come Follow Your Heart... to the Heart of Headwaters! The villages of Sayner and Star Lake located in the Town of Plum Lake are often referred to as the "Heart of the Headwaters" in northern Wisconsin. The great Wisconsin River originates in Vilas County. Hence our slogan: "Follow your heart to Sayner - Star Lake, where everything of beauty is better shared." See the many wildlife photos on following pages. The population of Plum Lake is 537 of which 29 are Lions members and 47 are Lioness members. We have some small industry but are mostly noted as a tourist haven with many resorts and vacation homes. Sayner is the home of the Vilas County Historical Museum http://www.vilasmuseum.com/ and birth place of the snowmobile. Carl Eliasons's http://www.eliason-snowmobile.com/ invention of the world's first snowmobile is on display year around in downtown Sayner. The Sayner Star Lake Lions Club have provided numerous accomplishments and events to support area communities and citizens. 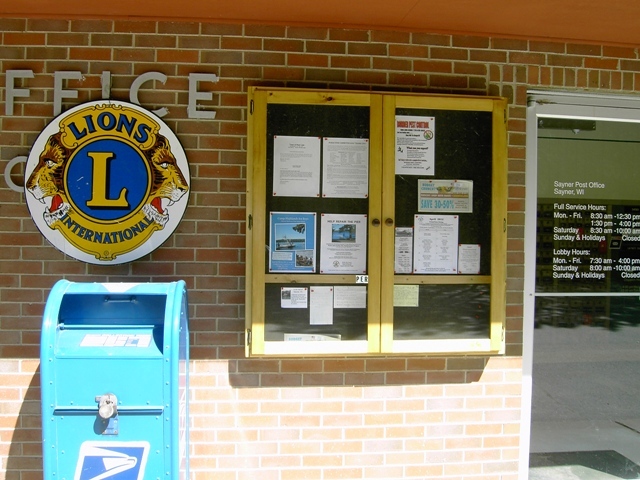 Past Town Chairman of 33 years and active Lion, Vernon De Witt Jr. attributes the growth and prosperity of the Town to the volunteer Lions "WE SERVE". The legendary Paul Bunyan once traveled the great Northern Forests with his blue ox. The 1940's brought many loggers to harvest precious timber from Sayner and Star Lake area. Whether you love snowmobiling, fishing, hunting, biking, camping, canoeing, hiking, cross country skiing, golfing, sight seeing or just looking for a true flavor of the north woods - then follow your heart to Sayner and Star Lake Wisconsin. 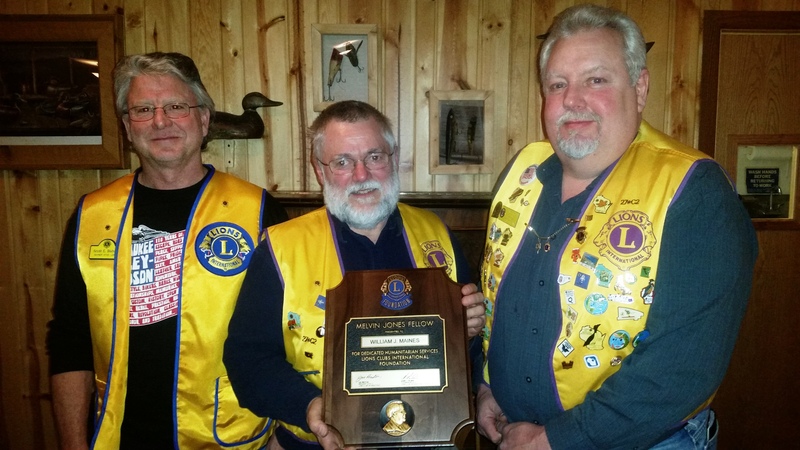 Sayner Star Lake Lions have proudly awarded Lions Gary Schmidt & Thomas Reed the Melvin Jones Foundation tribute for many years of dedicated involvement in their community and Lions endeavors worldwide. This guide is designed to open up the possibilities that the Internet can offer Lions clubs worldwide. It offers suggestions for using the Internet to keep members informed, conducting club business and promoting your club to the public. Lions meet at the Razorback Ridges Clubhouse. In back - Harold, ? 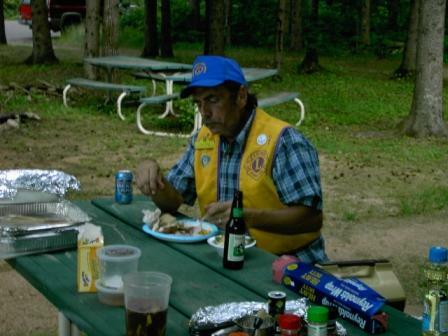 Lion Terry, our master chef takes a few minutes to enjoy the labors of cookery with an award winning meal. 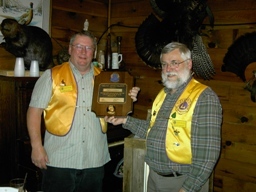 Lion Terry is our Lions Eye Bank of Wisconsin Chairman. 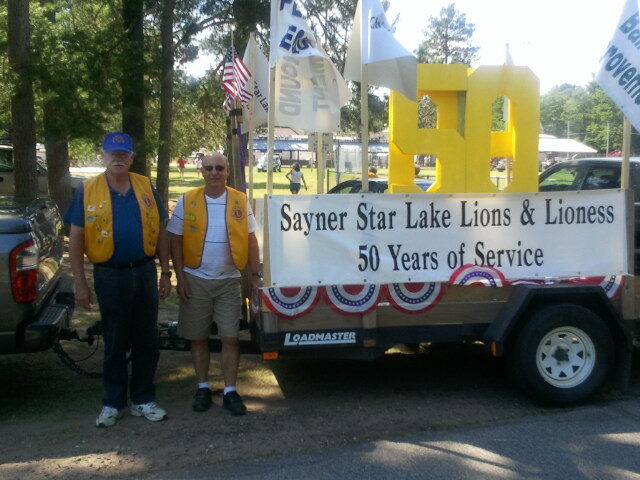 Sayner Star Lake Lions paraded the 2011 Lions float representing 50 Years of service on the 100 years anniversary of our Town of Plum Lake. The float committee of Lions Gerry & Joann, Ron & Jodi, Jim & Marsha and Chuck & Karen work through the night to get ready for Sayner parade. The Rose Bowl qualifying float placed number 1 in our hearts and 14th on the judges list. Lions Chuck Figers & Ron Capacio stand beside the float after the long ride through town. Lion Ron C. Present Northland Pines Honor student with achievement award. Senior student Clint Kittleson narrated the event. The Sayner Star Lake Lions club sponsor a Student Pizza Party for the high & middle school honor young men and Women who excell in their studies. The annual Student Pizza Party is held at the Liebo's Sayner Pub. Eric & Kathy Liebenstein are our gracious hosts and provided the 19 Lions in attendance and 23 students with 13 assorted pizza flavors. Lions welcome our future leaders. Lion President Will had to ask the tail twister to fine those Lions that jumped in the pizza line ahead of the honor students. Lions Ron Capacio and Lion Andrew McKay present medallion to Miss Penn during the honors night. Sayner 5/10/2012—Lions James Krieck of Sayner have been named the Melvin Jones Fellow by Lions Clubs International Foundation (LCIF) in recognition of their commitment to serving the world community. 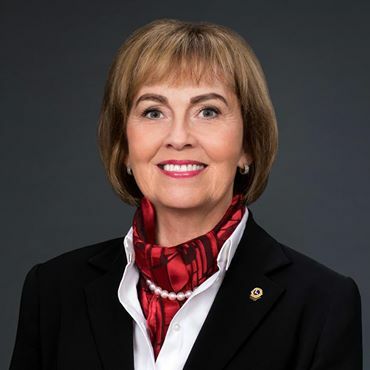 Named for the founder of Lions Clubs International, Melvin Jones, the fellowship is one of the Foundation’s highest recognitions, honoring the commitment to humanitarian service. Lion Will Maines, Librarian Ida Nemec, Lioness Kathy McCaughn and Lion Doug Mckay kicking off the Memorial Park fund raiser. Lion Doug Mckay will make sure the park is completed by July 4th. Notice the plaque on the rock from Plum Lake Womens Club engraved in1943. "When will it be done"
According to Lion Doug the Vets mem orial is done. Lion Doug getting the turf layed, trees planted, railing constructed and rocks position. Lion Terry attends and assists with the E-Clubhouse EXPO booth presented by the Sayner Star Lake Lions at the District Conv/EXPO in Hurley. Lions donate Little Red Fire Truck to Kids park. Lion Doug just assembled the new tee-ter todder at the Kids park. From the records of Past President Lion Richard Brooker Sr, (Florence) a deceased charter member, have reveled many charitable projects for the betterment of the Lions community. 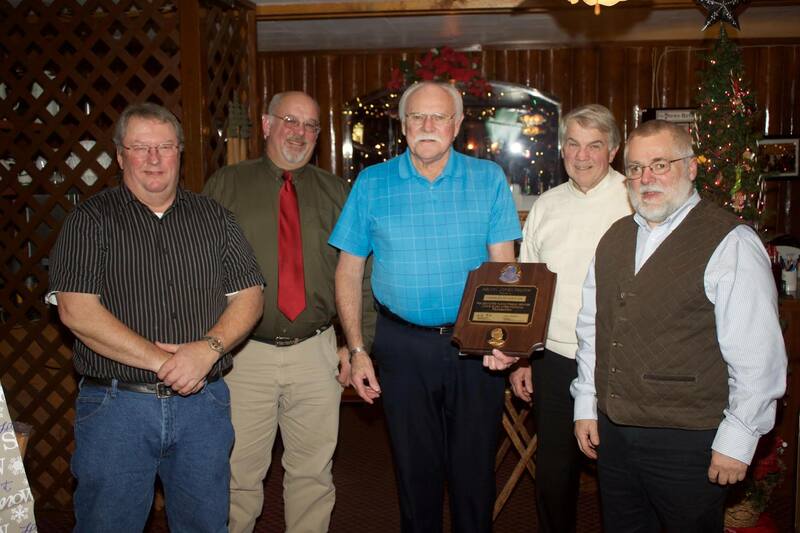 Mr. Brookers dedication extends beyond his Lionism and through out the community by serving as a town official, Fire Chief, and many other positions of leadership in his Town. Guess Dicks birthday __/__/____ ?? See the first ever "Lions billboard" at the Hwy 155 entrance to Town. 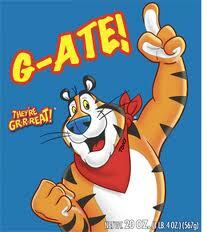 Lions joined with noted community groups to sponsor a billboard leading into town. Our efforts dwell on the Lion Razorback Ridges Clubhouse facility. We have, for community use, trails for sking, snowshoeing and exploring nature. Also a warming house, ice skating rink and picnic area. Summer use extends into hiking trails and mountain bike trails for the avid trekker. SSL Members wishing to add to this site contact rlw. 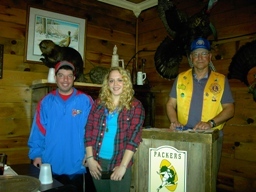 Also click http://md27c2.org/ - inspiring the good deeds of Lionism in Northern Wisconsin and around the world. 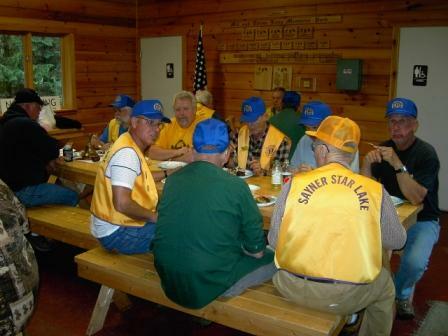 HOW TO JOIN Sayner-Star Lake LIONS CLUB! We are always seeking new members who have a desire to serve their fellow man and improve the community and world we live in. The satisfaction gained by being a part of these efforts is one of the big rewards of being a Lion. For young members there is the opportunity to develop leadership skills while retirees often join as a way to redirect their lives in retirement. We also enjoy the friendship and camaraderie of the group as we involve ourselves in club activities. Click on to the projects and fundraisers pages for information on our activities. Volunteer to be a Lion, it's important. 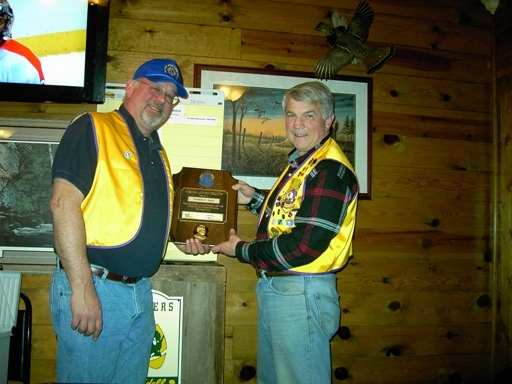 Our Lions Club and District are located with-in the Northern Highland, North Central and Superior Coastal State Forests.